New York City's mayor is asking the federal government for tens of millions of dollars to cover costs surrounding President-elect Donald Trump's security. Mayor Bill de Blasio announced Monday he's asking for $35 million to cover security costs between November 8 and January 20. That comes out to an average of $472,973 per day for 74 days. He said he just sent a letter to President Obama with the request. "We will be continuing very aggressively in the next few days -- calls and meetings with members of the Obama administration and Congress -- to nail down the reimbursements for the time between Nov. 8 and Jan 20," de Blasio said. "That will be the responsibility of the current administration." The mayor also said he called Treasury Secretary Nominee Steven Mnuchin. 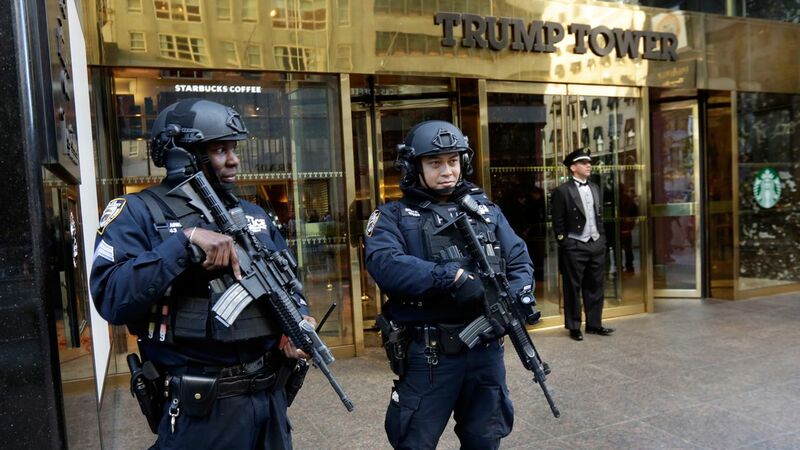 Since Trump was elected, armed police officers have heavily guarded Trump Tower - the home of the president elect -- on Fifth Avenue in Midtown.